Another new set of lights for the small 1 series hatchback. Plus a new bumper and other details. The 1 series hatch is the last one to still be based on the RWD platform. 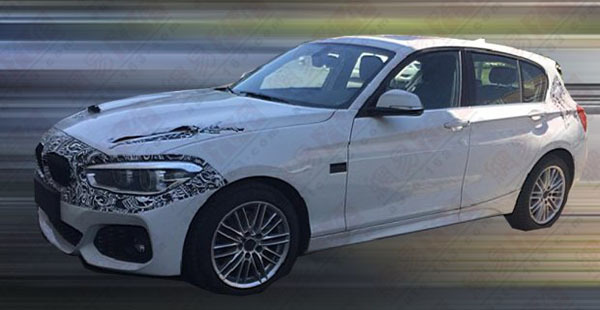 The new X1 and 1 series sedan are already based on the new FWD platform shared with Mini. So I guess this is one last small change before the complete redesign and switch to FWD. With Mercedes thinking about selling the next A Class hatchback here, maybe BMW will also reconsider for their next generation... Why not. Here is the current model . With the "revised for 2016" front end. The US market is not getting the next gen A-Class 5-door. We are getting the sedan. What's next? The zero series? I wish BMW would concentrate more on their upscale models (which are no longer up to the level of Volvo, Lincoln, Cadillac or Mercedes) and leave the cheap econo-hatchbacks to Kia. 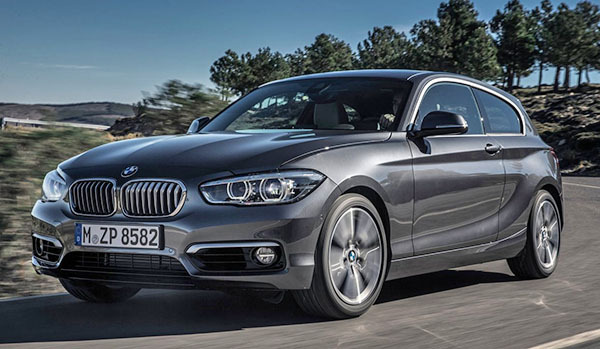 Anonymous: The BMW 1 series are not cheap econo-hatchbacks. They are expensive small hatchbacks. I know it's hard to understand for Americans, but with the narrow streets and small parking spaces in many places in Europe, it is perfectly normal for rich Europeans to want to buy a small car that is not cheap.